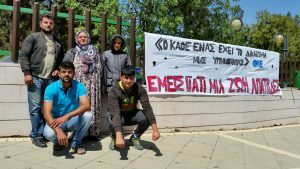 Last Friday, 07/04/17, stateless Kurds from Syria (Ajanib), decided to stage as yet another protest with the aim of getting their applications for Cypriot citizenship re-examined. The protesters have set up tents outside the presidential palace and are calling on the President of the Republic to intervene in order for the Ministry of Interior to re-examine the unjustified and arbitrary rejection of their applications. The undersigned NGOs consider the requests of the protesters to be legitimate and support their struggle. It is reminded that the said persons have been fighting for access to their rights for more than two years now and that on 18May 2015, the Ministry of Interior himself and the General Director of the Ministry, blaming the inflexible attitude of the competent authorities for granting the status of recognised refugee, urged them to apply for Cypriot citizenship. In fact, three of the protesters were then granted the Cypriot citizenship, while the Ministry suggested to the remaining persons to reapply after a year, when they would have completed the required residence period in the Republic. In an effort to mediate so as to resolve the longstanding problems faced by the said refugees, last Tuesday, 11/04/17, the four NGOs sent a joint letter to the Minister of Interior, in which they state that the decision to reject the applications for citizenship dated 27/03/17, needs to be reviewed, both from the legal and humanitarian perspective, and they therefore called on the Ministry to proceed to their reexamination. There was a collective decision on individual applications. The collective decision was based on a general assessment and justification rather than on an individualized assessment for each person as provided for by individual administrative acts. 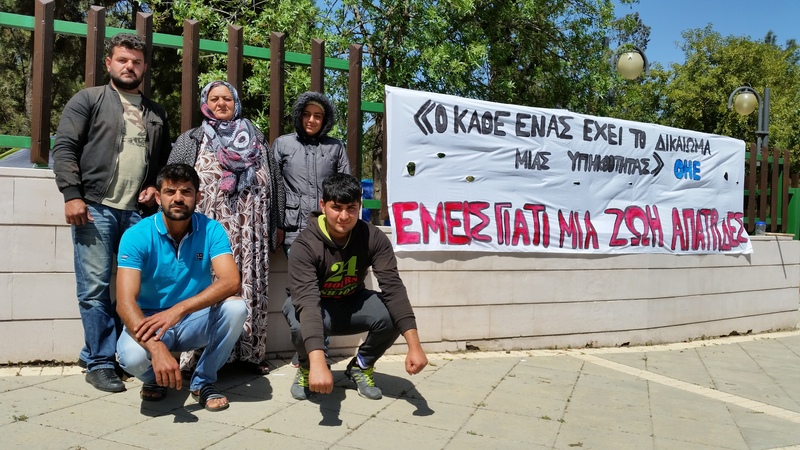 For example, the Ministry claims that some of the applicants do not speak Greek and therefore, the whole group has not been integrated into the local community, ignoring the fact that the rest of the applicants speak the Greek language very well. The decision includes information that is not accurate and/or not applicable to all family members. For example, all applicants satisfy all necessary legal requirements for citizenship, including that of legal residence of at least five years in Cyprus. The most controversial point in the Ministry’s letter is that, while on the one hand it recognises that these people are “essentially trapped, without passports or prospect of better living conditions” with its decision on the other hand it refuses to provide an escape root from this unacceptable situation they have been living in for more than seven years. The Ministry of Interior to proceed to the immediate re-examination of the applications of stateless Kurds for Cypriot citizenship. The President of the Republic to intervene in order to give an end to the suffering of these people.